Global business, political and media leaders demand answers in disappearance. 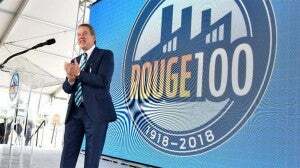 Ford Chairman Bill Ford is shown during a celebration of the 100th anniversary of the carmaker's River Rouge manufacturing complex. Bill Ford, the chairman of Ford Motor Co., is leading an exodus of high-profile business leaders who have decided to pull out for an upcoming investor conference sponsored by Saudi Arabia. 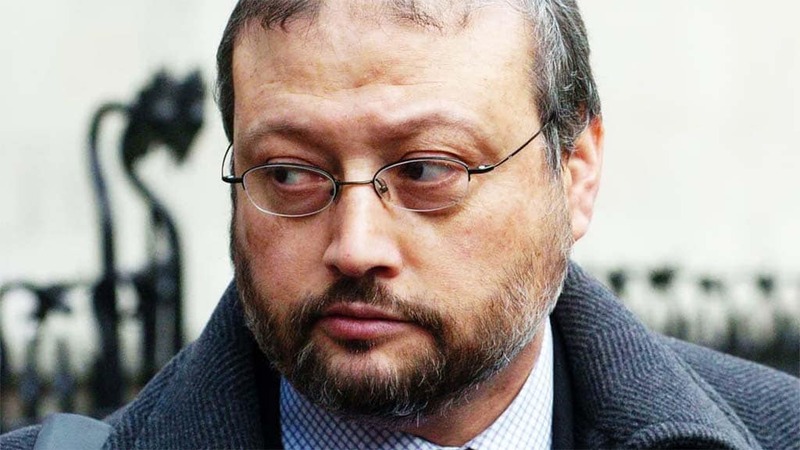 The move comes amidst growing concerns about the fate of Saudi journalist Jamal Khashoggi, who reportedly entered the Saudi consultate in Istanbul, Turkey last week but failed to leave it, raising concerns he may have been murdered by hit men dispatched by Saudi leaders. Khashoggi was a regular contributor to a number of publications, including the Washington Post, and had been granted U.S residency. Reports have surfaced over the last several days indicating American intelligence officials may have had advance warning that Khashoggi faced threats from the Saudis. Turkish officials, meanwhile, claim to have evidence the journalist was murdered in the embassy, his remains subsequently being smuggled out. Ford Chairman Bill Ford was scheduled to serve as a keynote speaker at the three-day event dubbed “Davos in the Desert.” He has now become one of the first high-level business executives to announce his withdrawal, triggering a flood of pull-outs by other business and political leaders, as well as major media groups that had planned to cover the event. Journalist Jamal Khashoggi was allegedly murdered by two Saudi hit teams inside the country's consulate in Turkey. It had been seen as a sort of coming-out party for the policies of Saudi Crown Prince Mohammed bin Salman. The ruler of the oil-rich nation has positioned himself as a major reformer in one of the Middle East’s most traditionalist nations. Among other things, bin Salman recently lifted long-standing restrictions barring women from driving in the kingdom. But the Crown Prince has also been accused of taking a hardline stance against critics, locking up many journalists and others who have opposed his policies, both from liberal and conservative positions. Working from outside the country, Khashoggi was frequently billed as one of the harshest critics of the Saudis, though he also posted positive reports about some of bin Salman’s moves, such as permitting women to drive. 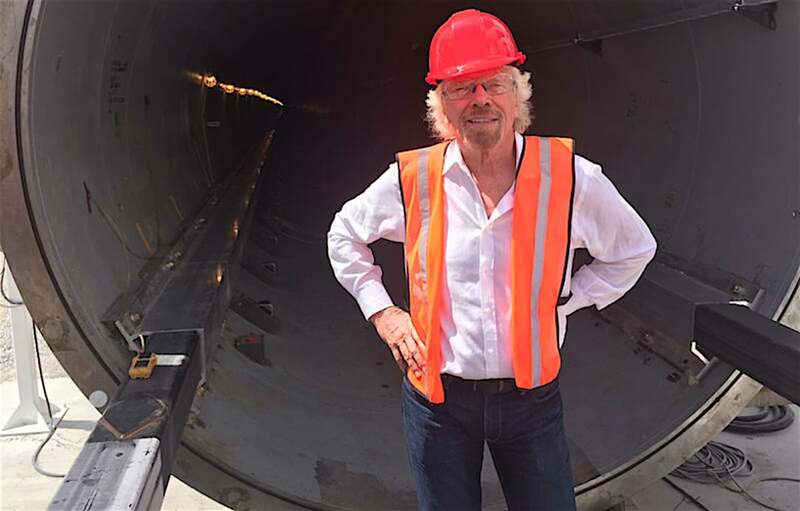 Virgin Galactic Founder Richard Branson has suspended a $1 bil Saudi investment. Turkish officials claim to have audio and, possibly, video evidence indicating two separate hit squads were sent to Turkey by the Saudis and, once Khashoggi entered the consulate he was ambushed, tortured, killed and, some reports indicate, dismembered, allowing his remains to be smuggled out along with the hit squad members. Separate reports from U.S. intelligence sources indicate Khashoggi faced an imminent threat, though whether that included assassination was unclear. On Monday, Saudi officials agreed to allow Turkish agents to enter the consulate as part of their investigation into Khashoggi’s disappearance. Pres. Donald Trump has threatened “severe punishment” if the Saudis are proven to have murdered Khashoggi, though political observers worry that the White House might be reluctant to act against such a long-time ally. The business community isn’t waiting for the disappearance to be resolved, however. 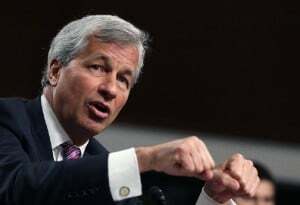 Along with Ford’s chairman, JPMorgan and Chase CEO Jamie Dimon has pulled out of the event, as have Uber Technologies Inc Chief Executive Dara Khosrowshahi, Viacom CEO Bob Bakish and Steve Case, one of the founders of AOL. Among news media only the Fox Business Network still plans to cover the three-day event, CNN, the New York Times, CNBC, Bloomberg and the Financial Times all pulling out. JPMorgan Chase Chief Executive Jamie Dimon also pulled out of the Saudi conference. Meanwhile, British billionaire Richard Branson has suspended the $1 billion investment the Saudis had approved for his space tourism business, Virgin Galactic. Remaining Western participants, including Mastercard, Bank of America and Goldman Sachs, are all facing pressure to withdraw – as is U.S. Treasury Secretary Steven Mnuchin. Concerns about the alleged murder has drawn criticism from both sides of the aisle in the otherwise deeply partisan U.S. Congress. The CEO of Standard Charter, an investment firm focusing on the Mideast, Asia and Africa, is one of the few to so far confirm attendance. “Whilst it is disappointing that some speakers and partners have pulled out, we are looking forward to welcoming thousands of speakers, moderators and guests from all over the world to Riyadh,” a spokesman for the Saudi conference told the Reuters news service. This entry was posted on Monday, October 15th, 2018 at and is filed under Automakers, Automobiles, Business, Earnings, Executives, Financials, Ford, Investors, Personalities, Trade. You can follow any responses to this entry through the RSS 2.0 feed. Both comments and pings are currently closed.